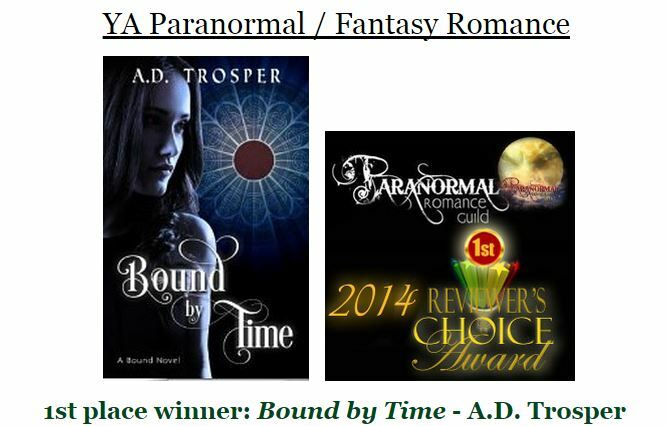 Bound by Time Won Best YA Paranormal Romance In the PRG Reviewer’s Choice Awards! Bound by Time was nominated for Best YA Paranormal Romance of 2014 by the reviewers at the Paranormal Romance Guild, and won! Thank you to the reviewers that nominated it and the readers who voted for it! « Dragon’s Call as a Movie?